Ask Pat: When should I order my veil and accessories? Dear Pat: I have chosen my wedding gown and have made an appointment this weekend to return to the boutique to purchase it, but was wondering if I needed to also purchase my veil and accessories then? I’m not sure how long accessories take to come in. Any info you could provide would be helpful! Great question! Most accessories take at least 4 months after being ordered to arrive, so you do not necessarily need order them at the same time as the dress (most brides typically order the dress nine months before the wedding). Just keep in mind that choosing the perfect veil and jewelry without having the dress on to see how it all looks together can be difficult, especially if you want to be sure the color of the veil matches the shade of white or ivory you ordered your dress in. After you purchase the dress the next time you’ll have the chance to put it on again is likely during your first alterations appointment a few weeks before your wedding–by that time it might be too late to order anything without paying extra to “rush” the order. 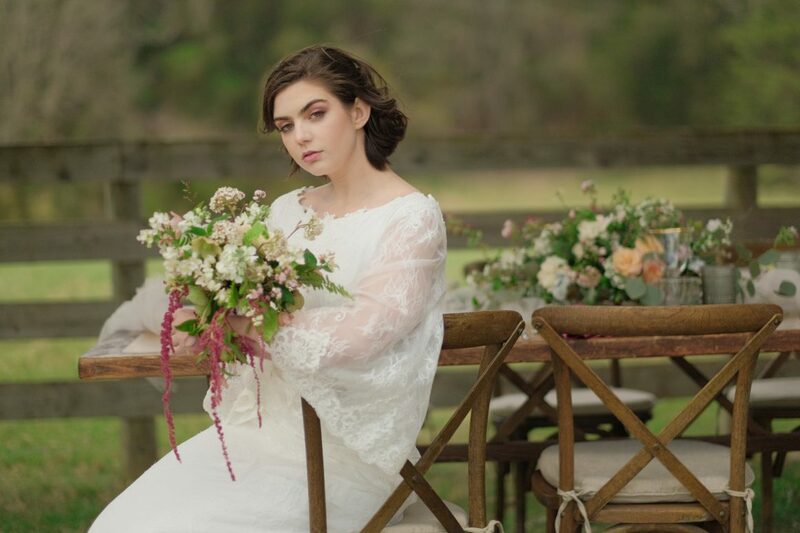 Have a question you’re dying to ask a bridal stylist? Just email pat@sealedwithakissbridal.com, and one our stylists will be happy to help. Your question might even make it to the blog!